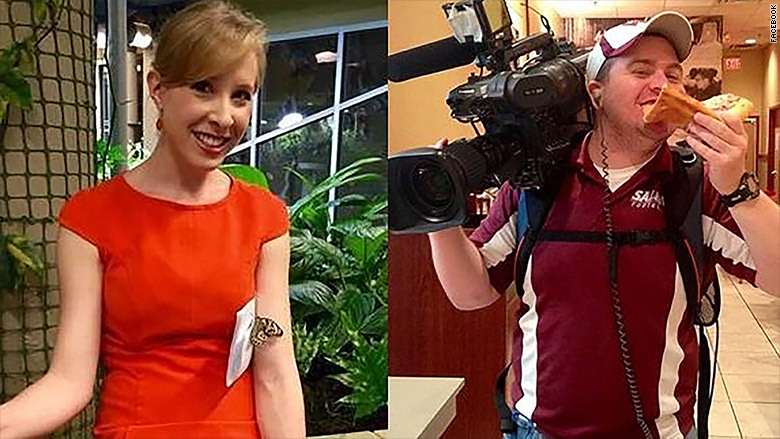 The August murders of two Virginia journalists shocked the country, in part because viewers saw the shootings happen on live television. What viewers couldn't see was the extraordinary response at the TV station WDBJ, from the editing room where a friend of one of the victims spotted the killer on videotape to the meeting room where the whole staff recited the Lord's Prayer together. This reconstruction of events is based on extensive interviews in the two months since the attack. Parker showered and dressed while Hurst brewed her coffee (she always left the house with a big Tervis Tumbler of coffee) and blended her smoothie. After weeks of tinkering, Hurst had finally perfected her favorite smoothie recipe: orange juice, frozen mango, wheatgerm, yogurt, and a banana. On this morning, he added some leftover kale. She took a sip and "yummed" approvingly. This day was special because the WDBJ staff was going to toast Ott. Parker had Hurst pick up the balloons and wine at a supermarket after his 11 pm anchor shift at the station. 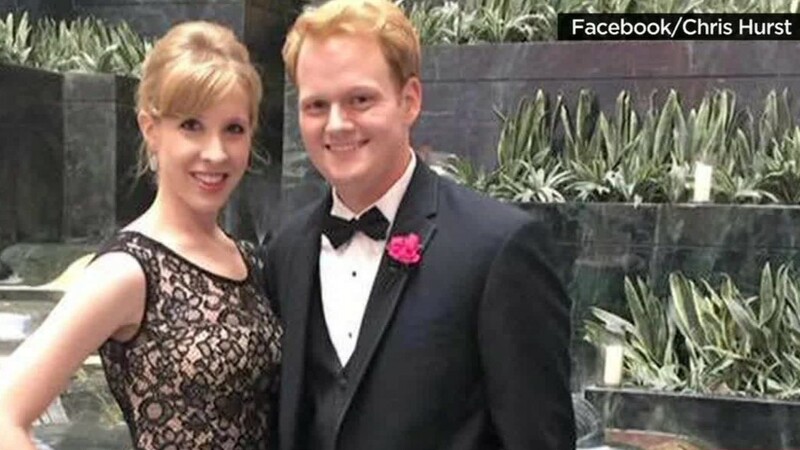 WDBJ is where the pair fell in love. Their work schedules seemed incompatible, but they found time wherever they could — moments that felt like a secret, when the rest of the world was fast asleep. Parker said goodnight to Hurst and got in the car. He'll never forget how, as she pulled out of the driveway, she looked back and blew him a kiss. Hurst went to bed while Parker stopped by the office. She surprised Ott with the balloons, but they both knew the real celebrating would come after the 5 and 6 am newscasts because Ott was busy training her replacement. Like Parker, Ott had fallen in love at the station: She was engaged to Adam Ward, 27, the photojournalist who ran Parker's live shots each morning. The assignments were mostly features: Back-to-school events, town festivals, inspirational profiles of local residents. The day before, Ward and Parker had covered an upcoming fundraiser at a zoo. They all knew how the local TV business worked — you start at small stations, you cover the zoo fundraisers and you work your way up. Roanoke is the 69th biggest market in the country, according to Nielsen, reaching 434,000 homes. So it was no surprise that Ott had accepted a new job at WSOC in Charlotte, North Carolina, the 22nd biggest market, reaching more than 1.1 million homes. Ward was planning to join her. He already had a job interview lined up in Charlotte. But first he had the live shots at Smith Mountain Lake. Ward was both the cameraman and the technician in charge of getting the live signal back to the station. Their reports at 5:45 and 6:15 were uneventful. As always, Parker was cheerful on camera, exuding the kind of warmth and energy that morning TV producers love to see. Back at the station, morning anchor Kimberly McBroom commented to the control room that it looked like a spectacular morning out at the lake. Editor Mike Episcopo was a few doors down from the control room, overseeing Ward's live transmission from the lake. There was "nothing strange, nothing out of the ordinary," he said, no indication that a gunman was about to ambush Parker and Ward. Ex-employee Vester Flanagan creeped up behind Ward and held up a handgun. Flanagan waited while Ward panned away from Parker and her guest Vicki Gardner. Once the camera was back on Parker, he started firing. Parker flinched and screamed. She turned away from the gunman and tried to flee. Flanagan fired several more shots. Parker screamed, "Oh my God." The control room staff cut away, and suddenly McBroom's stunned face appeared on screen. "Not sure what happened there," she said. "We will of course let you know as soon as we find out what those sounds were from." Some people sensed right away that a gunman had opened fire on the news crew. But others thought — or merely hoped — the crew was simply startled by gunfire somewhere in the distance. "Ten different scenarios went through my head," McBroom said. A car backfiring? A prankster setting off fireworks? "Your ears heard it, and your eyes saw it," news director Kelly Zuber said, "but your brain did not want to process what you just saw on television." McBroom immediately tossed to a commercial break. The live shot signal was still up and running in the transmission room, so Episcopo instinctively turned the volume up. He heard more screams and more shots, then silence. It was 6:47 am. Ward's camera was on the ground now, tilted at a sideways angle. Within a minute, Ward's arm fell in front of the camera, so his ticking watch was visible to Episcopo back at the station. "No one had to tell me. I knew Adam was dead," he said. Episcopo and Ward had been friends for about three years. They golfed together every other weekend during the summer and went on trips to Atlantic City. Ott hurried over to the transmission room where she asked, "Mike, what was that?" Episcopo didn't want her to see the live shot on his big screen, so he tried to come up with some other possible explanation and guided her back to the control room. While an associate producer tried to get though to Parker and Ward's cell phones, Ott tried to reach Ward through the live shot signal. She was no longer a producer hurriedly talking to the field photographer, asking him to pan left or right. She was a woman about to get married, pleading with her future husband to tell her he was OK.
Ott pressed the button on her control panel that allowed her to speak directly into his earpiece. "Honey, that was scary, answer me," she said. "You have to answer me. Honey? Honey?" At the station 10 things happened at once. One staffer tried to call Hurst, who was sound asleep. Another staffer called Zuber, who was awake at home. She in turn called her boss, the station's general manager Jeff Marks, and "said words you never want to hear." The words were, "Did you see it?" Marks hadn't. He was in the car, dropping off a friend at a 12-step recovery meeting just a few blocks away from the station. He walked inside at 6:54 am. "What's going on?" he asked the handful of staffers in the newsroom. The short answer was, "We don't know." Police hadn't even arrived on the scene of the shooting yet. So the only source of information was the live shot. Which meant Episcopo had to watch his friend die again. He walked to the edit bay to play what's known as the "air check," the videotape of what was aired on TV. The second time he watched it, he spotted what looked like a blurry face. He watched again and again — slowing the tape down — and thought, "I can't believe Adam captured it." There, in the right hand corner of the screen, was the face of the attacker, momentarily visible as he walked toward Parker and fired his fifth and sixth shots. Then Episcopo said out loud, to no one in particular, "Someone call the police." The police? Some newsroom staffers weren't thinking of this as a crime yet. But Episcopo had seen Ward's lifeless arm and he'd heard the gunshots on the tape. The more he rewatched the tape — eight or nine times — the more certain he was, and the more he lied to himself. First: "Maybe Alison kept running. Maybe she's okay." Then: "Doctors are miracle workers. They'll survive." He tried not to look back at the monitor with the live shot, but every minute or two he had to check again. "I wanted Adam to move. I wanted him to get up," he said. Back in the control room, the 6 am news continued, basically on autopilot — a testament to the professionalism of Ott, McBroom and the rest of the team. McBroom "was a rock," Zuber said, just what the anchor job calls for in moments of crisis. McBroom, somewhat isolated in the studio, didn't know what Episcopo had seen and heard. Every minute she wasn't on camera, she peppered the control room with questions: "What the heck was that?" Then: "Has Adam called back?" "Has Alison texted back?" The only answer in her ear was, "We can't reach them." "All of us," she said later, "just automatically defaulted to that journalism mode, to try to understand what had happened." At 6:57 McBroom signed off, never hinting at the distress behind the scenes. A newsroom staffer called Hurst a second time, and it must have woken him up. He missed the call, so he redialed. Ott picked up immediately. "You need to come in. There's been a shooting," she said, "and we can't get ahold of Alison and Adam." Pants... shoes... keys... and Hurst was out the door. Ott offered to stay on the phone with him during the 10 minute drive, but he had other calls to make. First: Parker. He had to try for himself. There was no answer. He winced. Second: Bill Overton, the Franklin County Sheriff. Like many journalists, Hurst held onto the cell phone numbers he collected on the job and he had the sheriff's number already programmed in. Overton's wife had been watching WDBJ when the shots rang out. She shouted for him to come into the bedroom, and rewound the DVR a few seconds so he could see it for himself. That's why, by the time Hurst called at 7:05 am, Overton was already on the way to the scene. When Overton picked up, he told Hurst that he'd received a report of bodies on the ground at the shooting site. Hurst's voice shook. "Are there fatalities?" The reporter in him knew to read between the lines of the sheriff's hesitant answer. "Chris, I cannot confirm that for you now," the sheriff said. Hurst hung up the phone and started screaming to himself within the confines of his car. Then he called his dad and told him what was happening. That's when, for the first time in his life, he heard his dad cry. Ward's live shot was still being beamed back to the station because there was no one at the truck to turn it off. The live transmission is how the newsroom first heard confirmation that Parker, Ward and Gardner had been shot. The words "3 down, 2 fatal" were picked up by Parker's microphone. Within minutes the same information came across the police scanner. Fear turned to anguish in the newsroom. "There was a lot of hand-holding, a lot of hugging," Marks said. No one knew which two people were dead — or for that matter whether the overheard information was even accurate. It certainly wasn't reliable enough to report on the air. A rapid-fire series of phone calls began. Marks dispatched Mike Bell, one of the station's senior managers, to the crime scene because he lived nearby. Another newsroom leader, Greg Baldwin, was put in charge of communication with Parker and Ward's families. A spokeswoman for the Virginia State Police, a frequent source and occasional adversary of the station, called Zuber. "We sort of acknowledged together that this was just going to be weird," Zuber said. "We were victims, and they were trying to give us information as they would do with any victims' families." Tellingly, at the same time, Marks reached out to Donna Britt, a former pastor who's married to a supervisor at the station. By the time Hurst walked ino the newsroom around 7:15 am, other employees who didn't work the morning shift had started to arrive too. They just wanted to be present. In a tape editing room, Episcopo showed the tape's frozen image of the gunman to the station's chief photographer, who identified the face as Flanagan. The photographer left, walked over to Marks and said, "You have to see this." Marks, McBroom and several others followed him back to the editing room, where they saw the freeze frame. "That's Vester" was the consensus. Flanagan had been fired back in 2013. McBroom asked aloud the questions everyone had: "Why?" and "Why now?" The station passed along Flanagan's name and description to police within 45 minutes of the shooting — which suggests that Ward's last live shot was a vital piece of information for the authorities. The 7 am hour was a tearful blur. Chaos overwhelmed the newsroom. Ott "became more and more overwrought," Marks said. What she had experienced is almost unfathomable — witnessing her fiancé attacked in the final quarter-hour of her final morning newscast. In the wake of the shooting, Ott moved home with her family. She has not spoken publicly. But according to colleagues, she displayed a journalistic instinct in the immediate aftermath, telling them "I want to hear everything." So a couple of Ott's closest work friends huddled with her in a private room. "We were trying to make sure she felt that she was in the loop, while giving her the privacy to be upset," Marks said. Unfortunately there was little to share with her. Information was scarce — and that was a bad sign, Hurst thought. He knew that if Parker or Ward were merely injured, family would be notified and told to come to the hospital. He steeled himself for the call that came just after 8 am, when Marks heard that Overton, the sheriff, was at the crime scene and needed to speak with him. "There are two dead, and they're your people," Overton said. Marks brought Hurst into a semi-private courtyard and said, "Chris, I think she's gone." Then he did the same with Ott. Afterward, Zuber led Hurst and Ott to a conference room, closed the door, and simply held onto them the best she could. Ott fell to her knees. "Please," she begged Zuber, "tell me this isn't true." Marks' mind turned to WDBJ's audience. The station had skipped its usual news cut-ins at 7:25 and 7:55 am. Another window was coming up at 8:25. In the meantime the switchboard was lit up with calls from viewers who'd heard the gunshots on the air and needed to know if Parker was okay. Marks was stalling, mainly because he wanted to make sure that Baldwin had spoken with one member from each family. But his journalistic instinct was palpable. "We couldn't sit on it," he said. At 8:35, Baldwin gave the okay, and Marks approached McBroom. "Let's go," he said. "You introduce me, and I'll share the news." Alison Parker and Adam Ward on assignment. Up until Wednesday morning, no journalist had been killed on assignment in the United States in almost a decade. But Marks had a longer-term view. In his 44-year broadcasting career, he'd thought about what would happen if one of his staffers died suddenly. He had even rehearsed it in his head. First, he'd call a member of the clergy. And by 8 am, Britt, the former pastor, was there. Second, he'd make an announcement on the air. At 8:45 am, WDBJ interrupted "CBS This Morning." McBroom, seated at the anchor desk with Marks, said, "We are following breaking news this morning out of Franklin County, news that has affected our WDBJ 7 family very deeply." Then she handed it over to Marks. "Brokaw got me going," Marks said later. Marks remembered, almost word for word, what Tom Brokaw said on the air in 2008 when he had to break the news that "Meet the Press" moderator Tim Russert had died suddenly at NBC's Washington bureau. Brokaw began: "It is my sad duty to report this afternoon that my friend and colleague..."
Marks began: "It is my very, very sad duty to report that we have determined, through the help of the police and our own employees, that Alison and Adam died this morning shortly after 6:45 when the shots rang out." Morning meteorologist Leo Hirsbrunner joined McBroom and Marks on the set and shared memories of Parker and Ward. The goal, he said, was to "lift them up" and "help viewers understand what great people we'd just lost." Back in the conference room, Britt was now sitting with Ott and Hurst. Britt listened more than she spoke. She could hear Ott coming to terms with what she'd witnessed two hours earlier. "She got a sense from beyond that he was okay. That he had died, and therefore, was okay," Britt said. Zuber wondered how she could possibly hug her entire staff at once. She needed them to mourn and report simultaneously. She put her newest reporter, Amanda Kenney, on the investigation beat, with the theory that a new hire would feel less attachment to the victims. And she put the newsroom's most senior reporter, Joe Dashiell, in charge of profiling Parker and Ward. "Can I talk with you?" Dashiell said to Episcopo around 9:30. "I want to put together an obit package. Will you help me edit it?" Episcopo jumped at the assignment. He dug up months-old clips of Ward and Parker, clips that few others would have known to find. "It became a pain killer for a period of time," he said. Others poured themselves into work for the same numbing reason. Marks' shock was palpable when he sent a station-wide email at 9:43. "There are simply no words," he wrote. He asked everyone to gather at 12:15 pm. The email ended on an unsettling note: "We do ask that employees remain in the building. Police presence is on the grounds. We want everyone to be safe." One of Zuber's police contacts had been more blunt on the phone: "Don't send anyone out on stories. Don't leave the building." Uncertainty reigned. The attacker was on the loose and no one knew what he would do next. His identity hadn't been made public yet, but the station managers were certain it was Flanagan — which meant he had intimate knowledge of the station. For all they knew, he intended to attack another crew. So the station became a bunker. Employees who normally reported from the outskirts of Roanoke began driving to the building. And a rival station, WSLS, began feeding WDBJ video from the crime scene. After all, Zuber's team had to be back on the air at noon. "Those newscasts just keep coming," she said. But there was a moment, at 11:20 am, when she didn't know how they could get back on the air. "We were trying to get our feet back under us," she said, when Flanagan uploaded his own video of the shooting to Twitter and Facebook. "One of our anchors had Twitter up on her computer," scrolling through the gunman's Twitter account, because he'd just started to post a rant about his time at the station. The video autoplayed. "It was like a magnet. It attracted everyone," Zuber said. "I looked at it, and then I looked at the faces of the people who were looking at it. I had a feeling this wasn't going to go well. In a moment, I was trying to say, 'Don't watch this.' But it went by that quickly." The gunman's video showed him firing for several seconds beyond what the live broadcast showed. "It was like it had happened in the newsroom," Zuber said. "People just scattered from that computer to all corners of the newsroom, trying to get away from it." 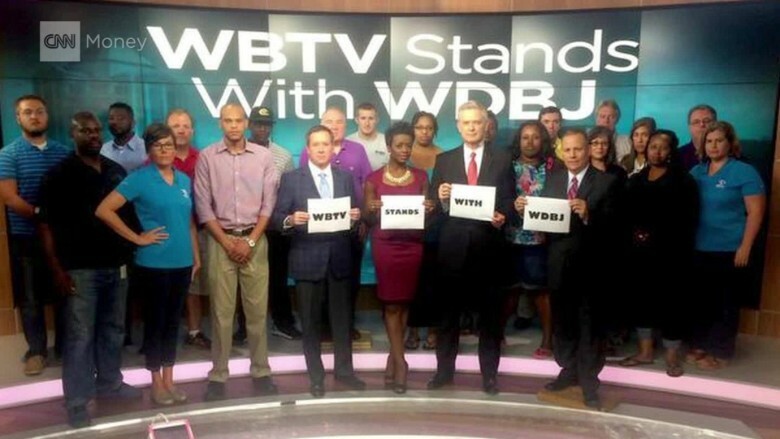 The video reinforced the feeling that everyone at WDBJ was a victim. He had used the station's own equipment to broadcast an execution locally and used social media to show the rest of the world. In the newsroom there was no discussion of showing either video — because a victim of a crime wouldn't consider doing that. In the aftermath, Zuber said, "I think more and more about what would happen if the victims of crimes had the opportunity to write the stories." WDBJ faced an unusually personal but also very familiar predicament for journalists: Wanting to respect Parker and Ward's families by focusing on the lives of those lost, but also having to cover the other side, the criminal who was on the loose. McBroom and Marks had to go back on the air a little before noon, at 11:50 am, because word came from the Virginia State Police that they'd tracked down the killer. "We had a strange relationship with law enforcement," Zuber said. "We were working with them, trying to identify [the gunman], yet they were trying to feed us information first." It was hard to tell if they were being kept up to date as victims of a crime or as journalists, and it led to a moment of embarrassment for the station. "We have him. He shot himself. He's dead," a police spokeswoman told Zuber. WDBJ reported the information. But a minute later the spokeswoman called back. "We found a pulse," she said, which necessitated an on-air correction. Flanagan eventually did die from his self-inflicted gunshot. A hint of anger seeped into the stoic coverage because, as Hirsbrunner put it, "We knew the coward took his own life." By this time, Hurst had gone home, driven there by three friends who stayed by his side. He showered, laced up the red shoes that Parker had picked out for him the previous weekend and went into what he called "work mode" — partly as a coping mechanism. Speaking later about himself and his colleagues, Hurst said, "We all regressed to the mean. We went back to our most basic instincts. News gather, produce and report." But this time he was a source, answering other journalists' questions and suffering the consequences of their editorial judgments. He was disgusted to see the next morning's New York Daily News cover with three still frames from the video. It was the "most traumatizing part" of all the coverage, he said. "Objectively, I totally understand. But now I know the human cost of these decisions." Marks was a source too, fielding hundreds of interview requests from national and international media. He had said to Zuber early on, "You run the newsroom, I'll be the front guy." That newsroom became a sanctuary. "Tell me how weird it is that we walked around the newsroom telling each other that we loved each other," Zuber said. "I mean, that doesn't really happen in newsrooms very often. But we said it. And we meant it." Britt, the former pastor, approached people one by one and invited them to talk with her. Like so many others, she was struck by their relative composure on the air and off. "A lot of it," she realized, "was the inspiration of Adam and Alison." The attitude was, "We want to get it right. We want to be able to be the ones to tell their story." At 12:45 the whole staff gathered in the building's community room for Marks' memorial gathering. He stood in the front and said, "This is the worst day of our careers. For many, it's the worst day in our lives." Then he introduced Britt, who led the group in the Lord's Prayer. "We will make it through this," she said, "because of God's presence." When there was a pause, Marks suggested another prayer. "Psalm 23?" Britt read the psalm as if she'd authored it herself. She slowed down and enunciated each word. Evil had visited WDBJ. But in this moment, Britt wanted the employees to feel fearlessness. Then the staff resumed their preparations for the 5 p.m. news. In the weeks since the shooting, Marks and Zuber have been asked to share management advice with other stations. Marks' top recommendation is this: Have a "one-page set of guidelines for what you will do if your newsroom becomes the focus of everyone's news coverage." Looking back at that day, he said, "We succeeded by winging it, but that won't always work." Zuber said many of her staffers didn't want to leave work in the days after the shooting. "They were exhausted," she said, "but to be alone was a dangerous place to be." She had to force them to take breaks and spend time with counselors. 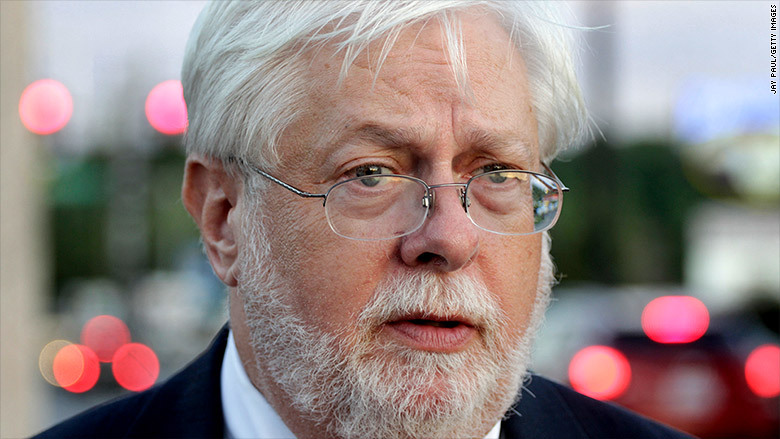 Journalists from other stations owned by WDBJ's parent, Schurz, flew to Roanoke to help. Thanks to them, virtually every staffer from the station was able to attend the memorials for Parker and Ward the following week. "One lesson we can take away from the event is letting others help," Hirsbrunner said. "When they offer, immediately say yes." Two months later, a newly renovated studio at WDBJ is now named in honor of Parker and Ward. Plans are underway for a memorial garden outside the building and a permanent tribute inside. On Sunday night, the local chapter of the National Academy of Television Arts and Sciences presented Parker and Ward with posthumous Emmy awards. A third Emmy statue was presented to the staff of WDBJ for demonstrating "courage in the face of tragedy." Ott left Roanoke after the shooting and stayed with family members out of state. She is now in Charlotte, about to start the producing job that she had been offered in August. Hurst remains at the station. He is finishing several television segments that Parker had started. The stories are part of a special series about hospice care and grief — and he is incorporating his own experience. Hurst said the emotions that he perhaps blocked out in the immediate hours and days after Parker's death have now flooded him, even as he anchors the evening news every weeknight. "There's just a huge, huge gaping hole," he said. "It's getting harder every day." This reconstruction of events is based on interviews with Marks, Hurst, McBroom, Episcopo, and other WDBJ employees, as well as other community members. The interview with Zuber was conducted on-stage at a Society of Professional Journalists conference. Ott did not respond to interview requests.